I will add some more photographs tomorrow - but this is a very decorative antique Gustavian Style Chest of Four Drawers. 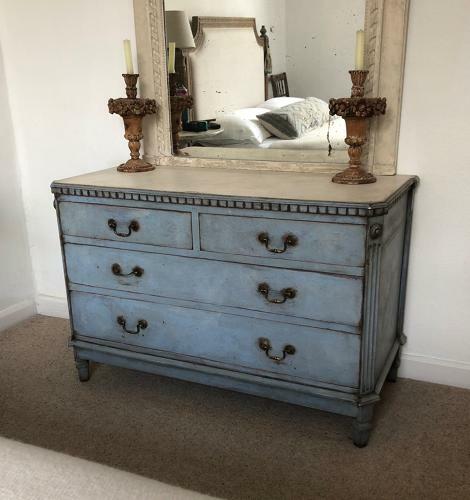 It is an antique chest of drawers modified with a pretty shaped top and dentil frieze and later painted. The paint is a wonderful Swedish Blue and a clever white faux marble top. It has attractive panelled sides and is raised on shaped legs.